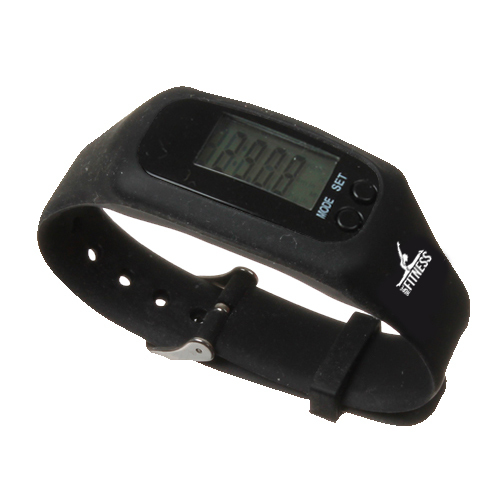 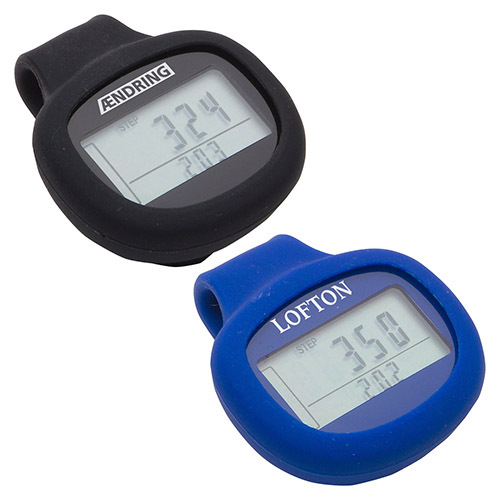 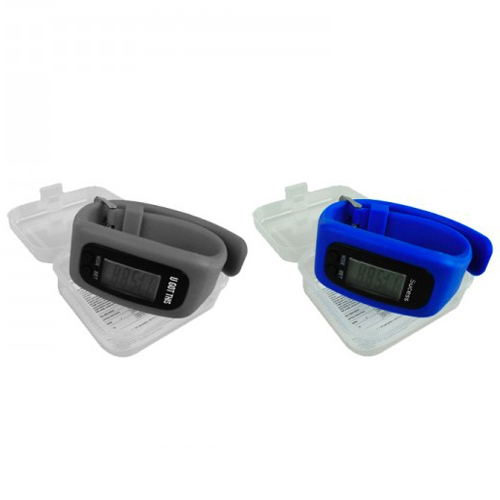 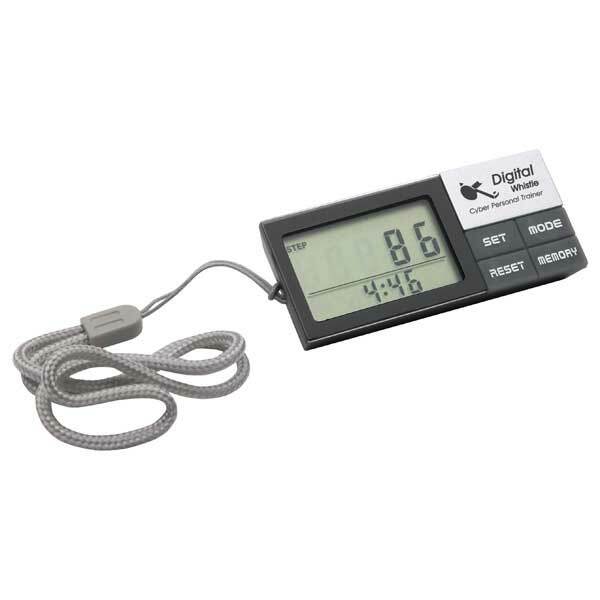 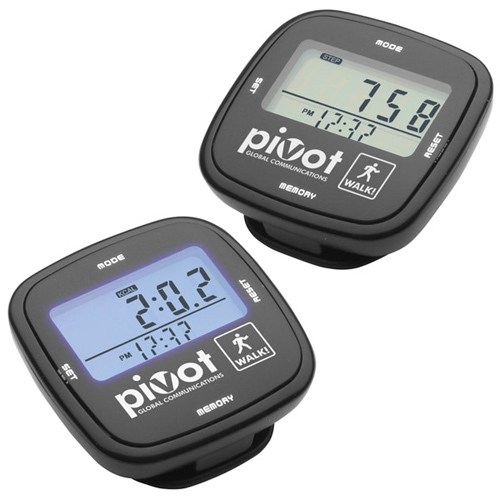 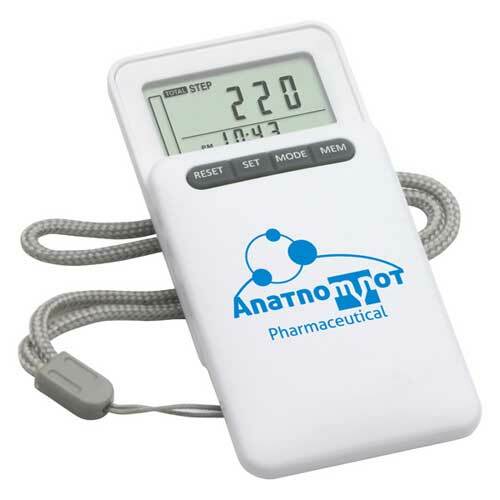 Fitness Pedometers are used by sports and fitness enthusiasts. 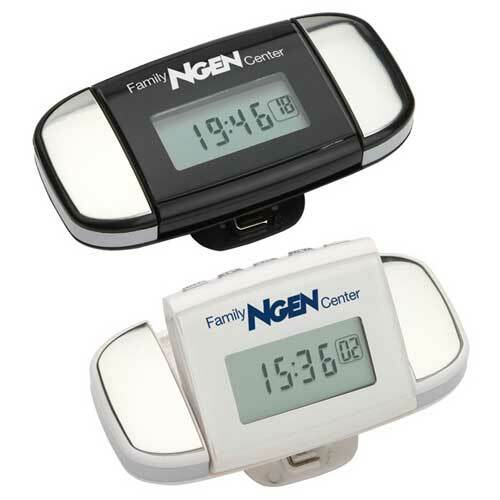 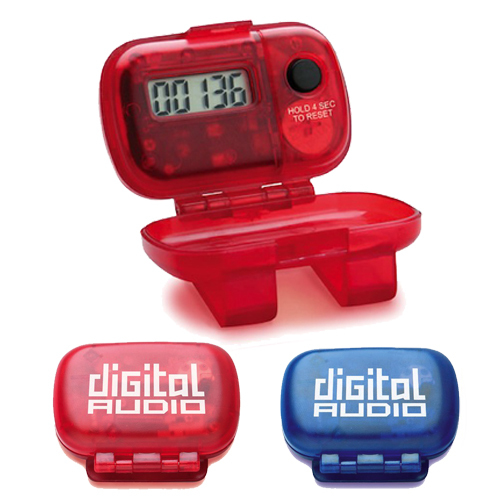 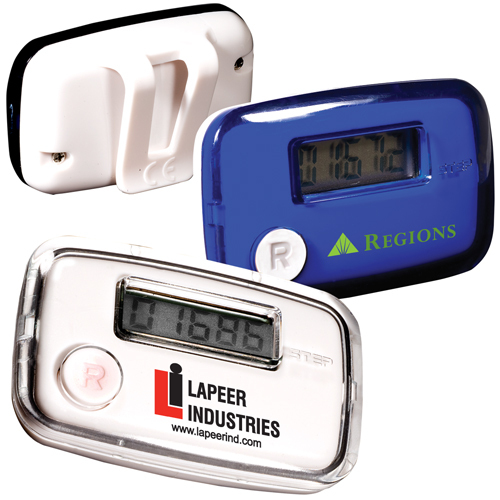 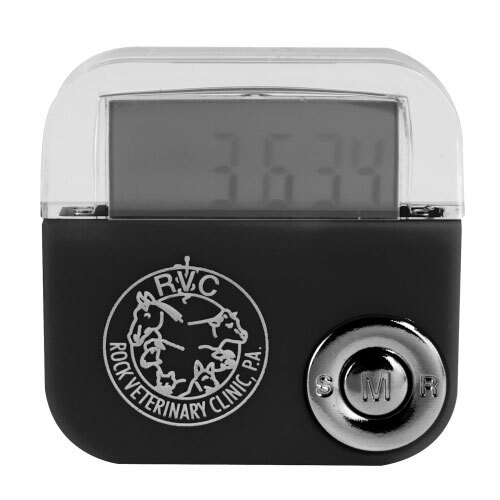 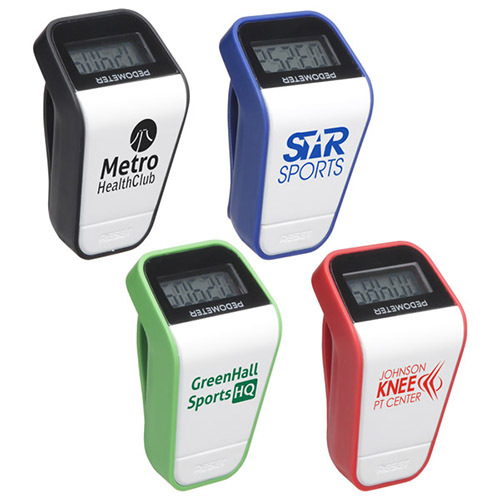 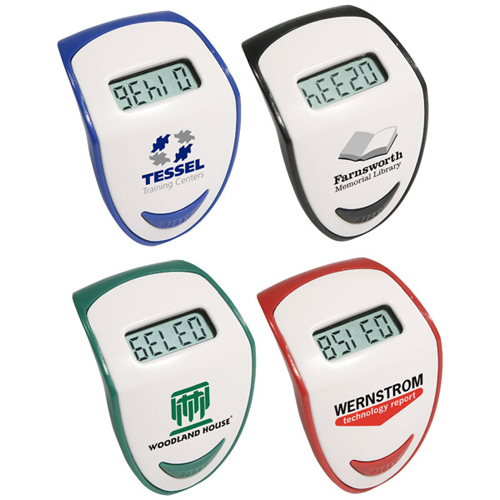 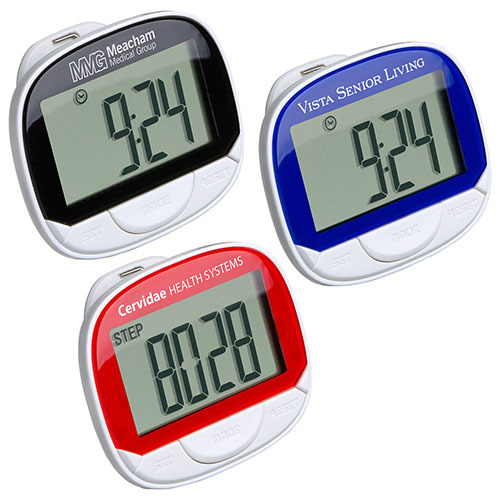 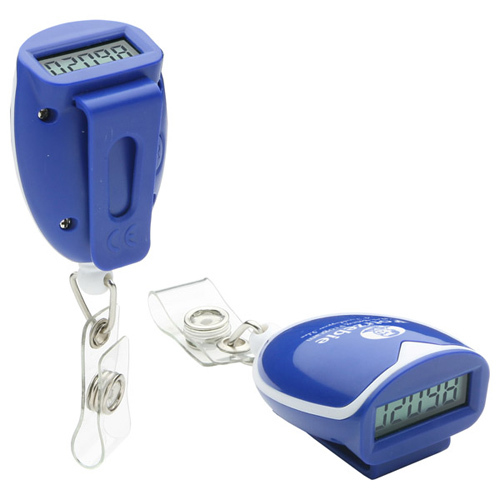 Maintain a healthy brand with logo step counters. 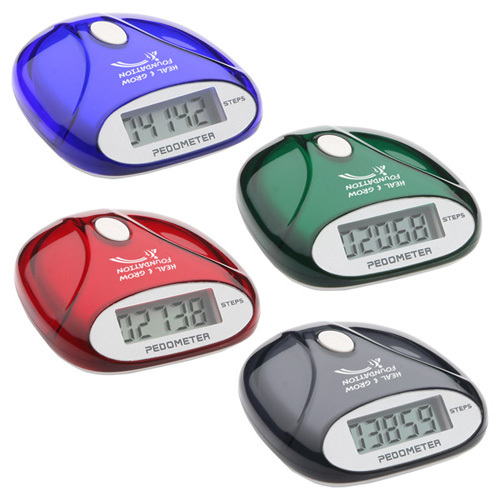 Promotional Pedometers are used to count each step. 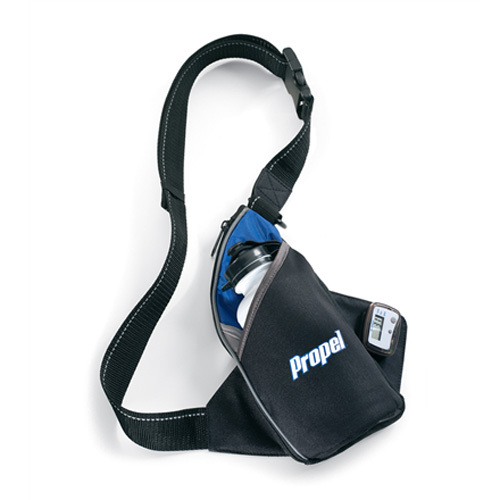 They can be used throughout the day or during a brisk walk for exercise. 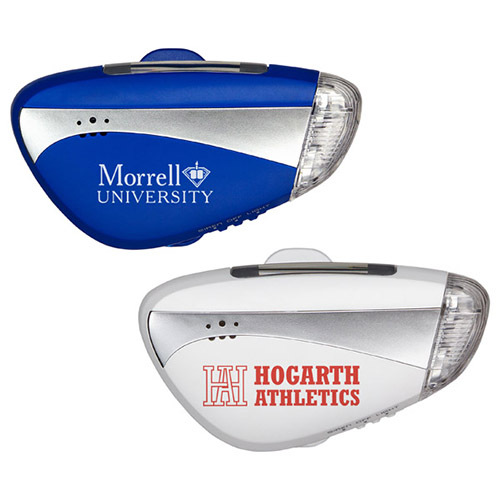 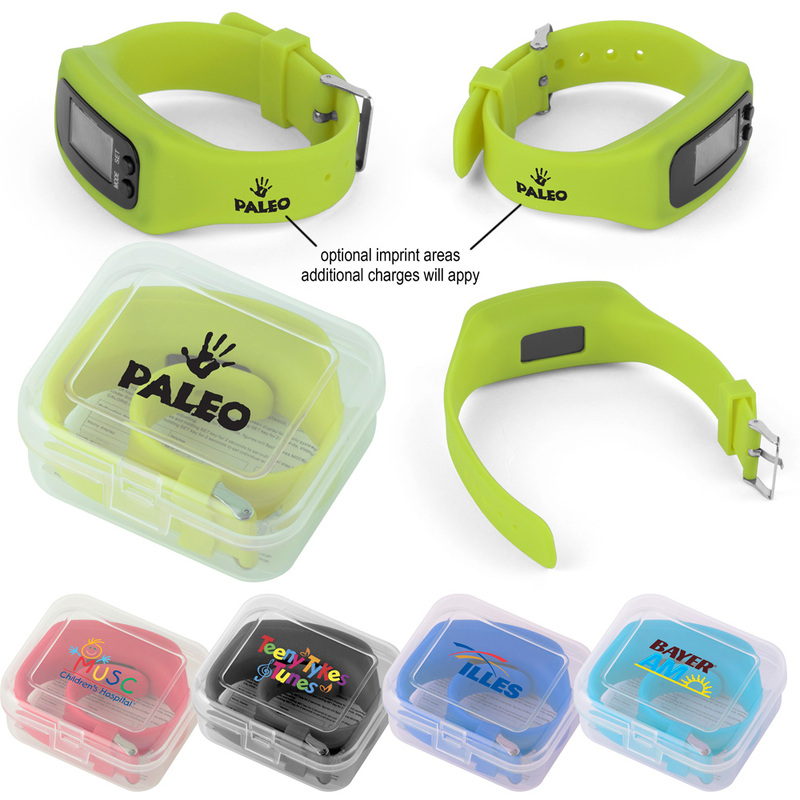 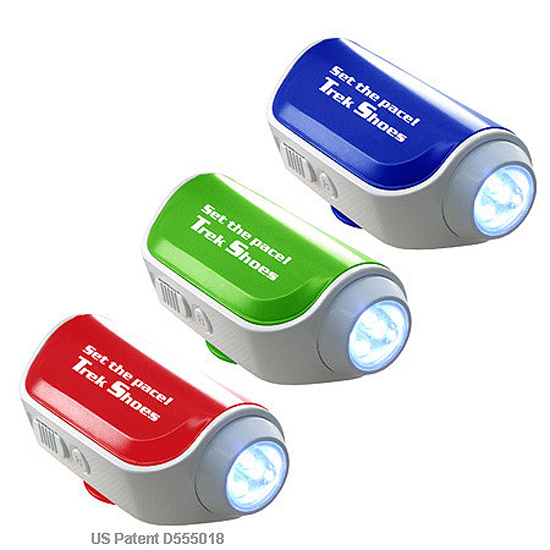 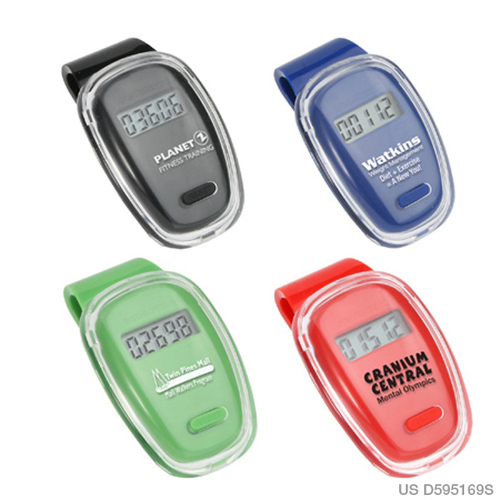 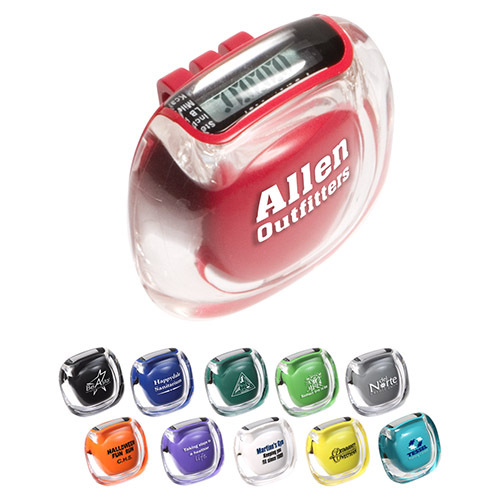 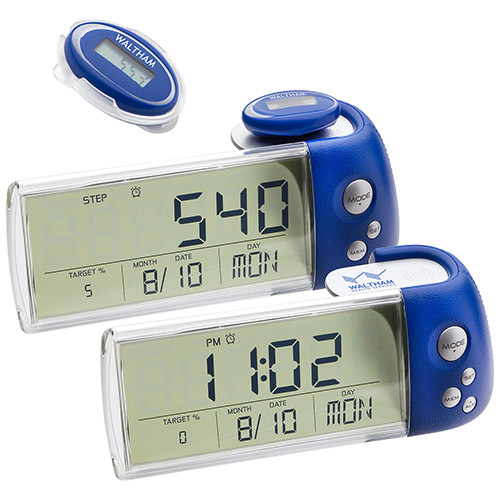 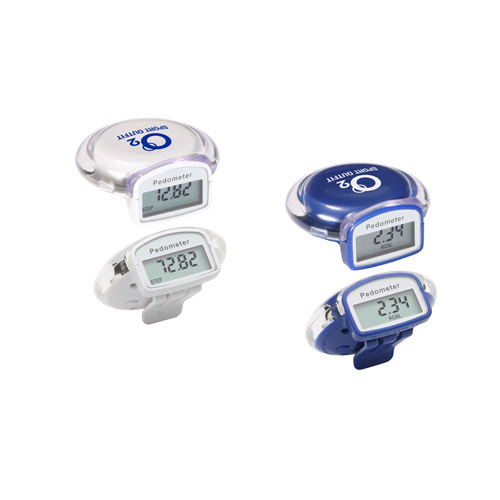 Promote healthy physical fitness with a Fitness Pedometer promotion. 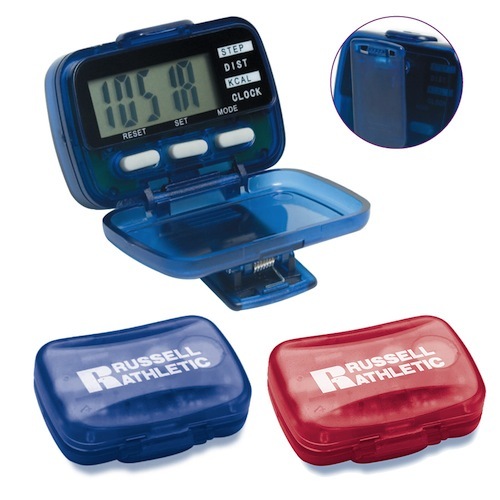 A great fitness device that will energize your brand as well as keep receivers physically motivated! 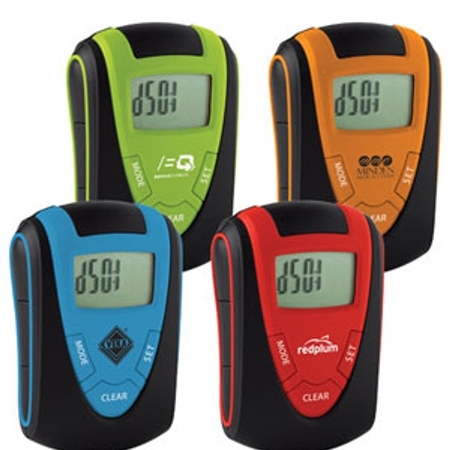 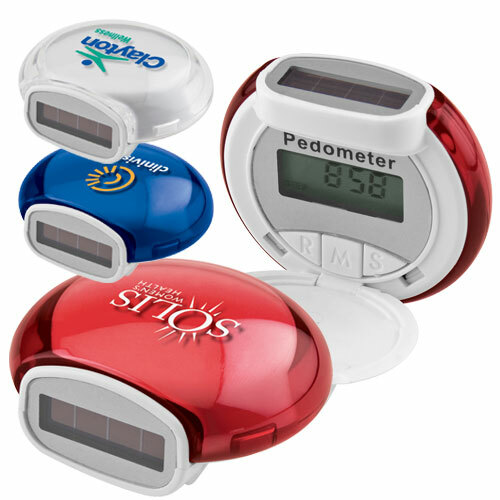 Promotional pedometers bring you one step closer in getting your brand name out to the public while promoting health and fitness. 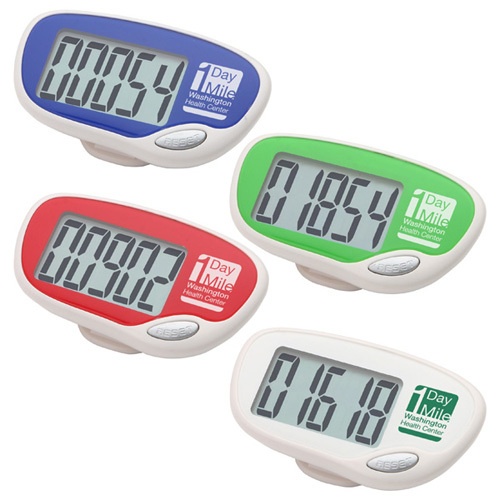 It is important to know the calories that are burned each day, while eating properly. 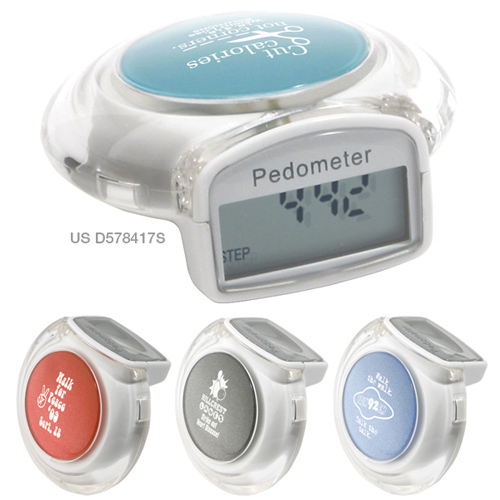 The recent guidelines is 10,000 steps a day while walking. 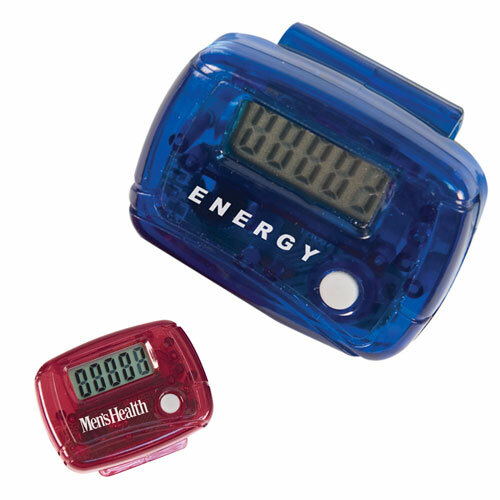 So 10,000 steps are close to 5 miles. 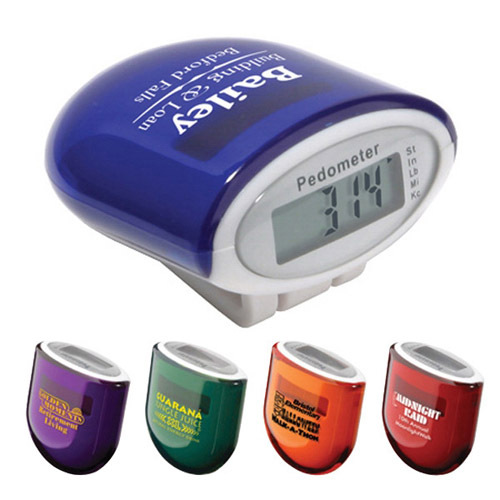 Wearing a promotional pedometer is an easy way to track your steps each day. 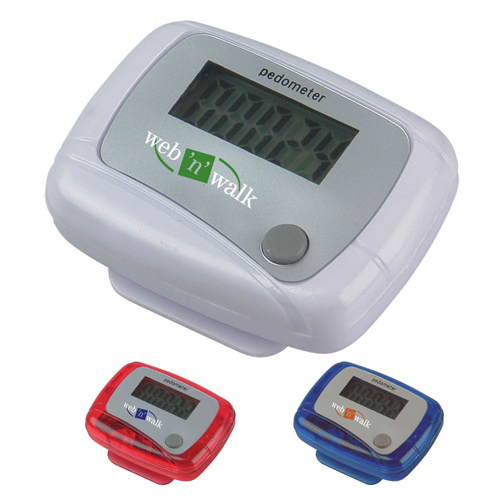 If you start wearing your pedometer each day you will be able o record your daily steps. 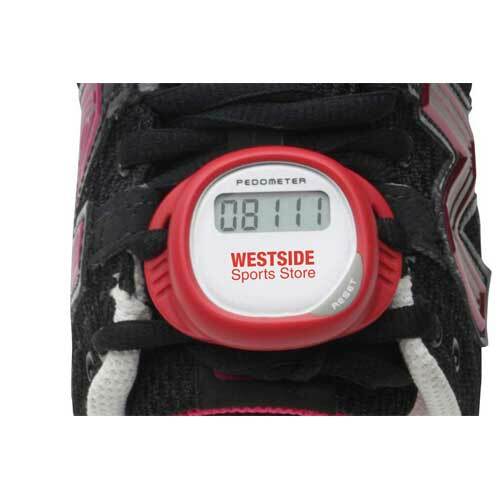 You may be surprised at how many steps you actually take in a day. 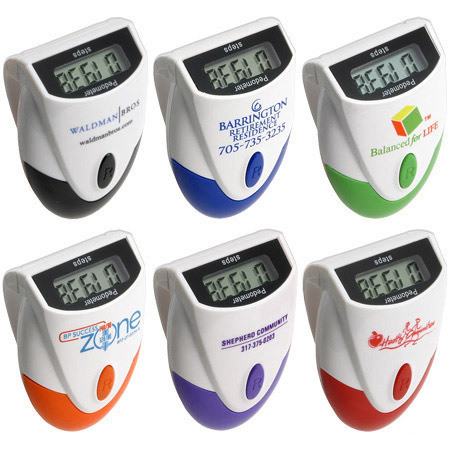 Promotional pedometers make great giveaways. 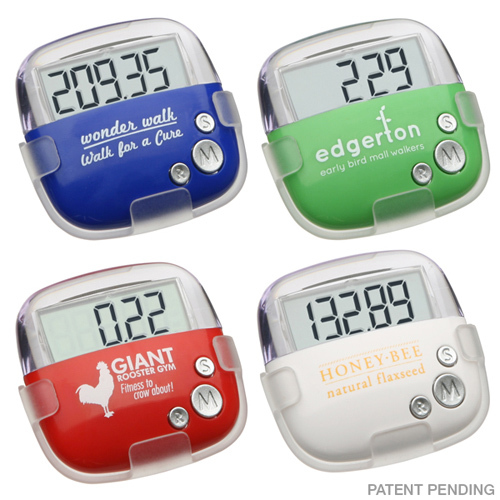 It really doesn't matter what trade you are in pedometers will get you the exposure by motivating your clients and employee to keep fit. 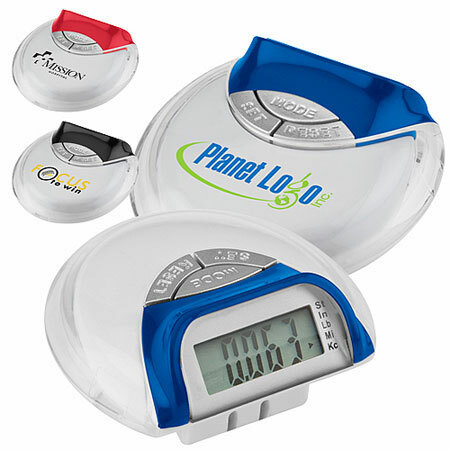 Motivate your recipients to park further away from the super market, go outside and take a walk, walk your pet, use the stairs instead of the elevator, or walk to shop or work. 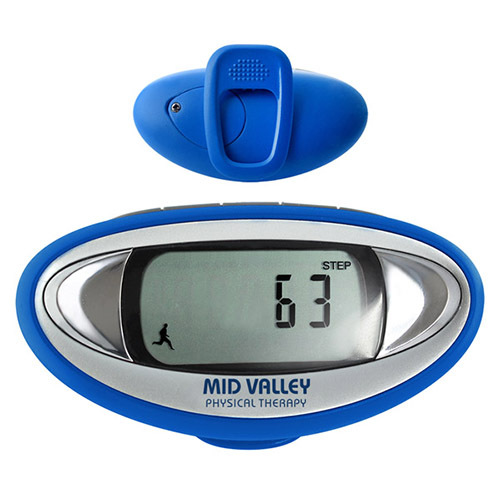 After you track your steps for a month or so you will start to feel the improvement. 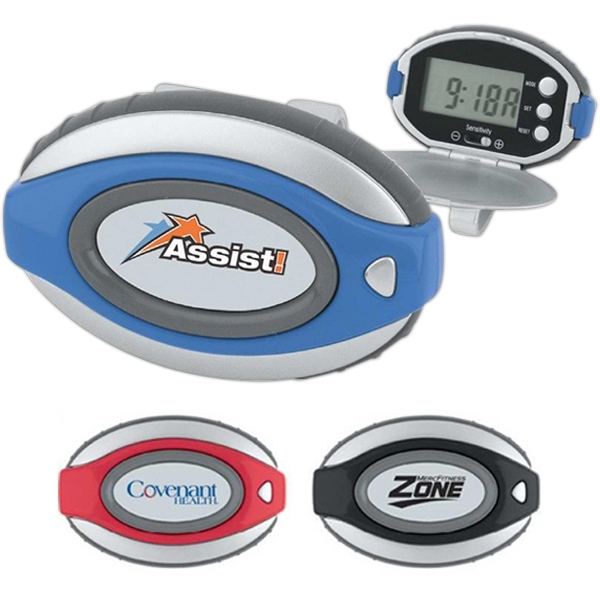 There are many fundraising programs that have walk-a-thons that will get your name out to the public that you are a supporter for good health. 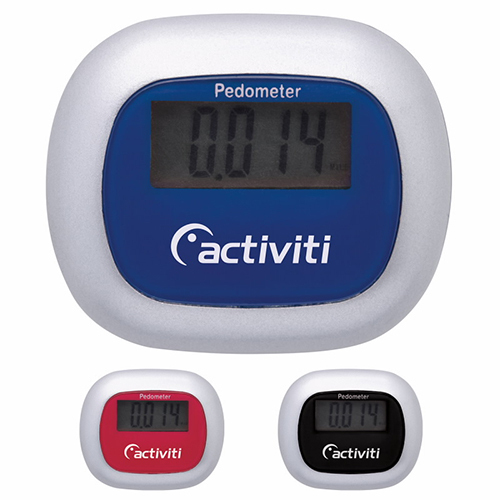 Pedometers are an item that the whole family can get involved in. 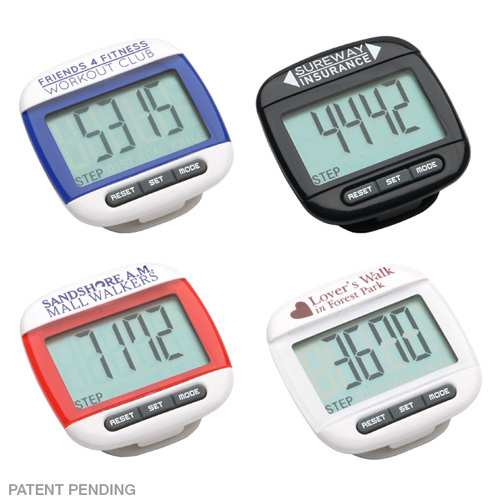 They can have a step contest of who walks the most steps. 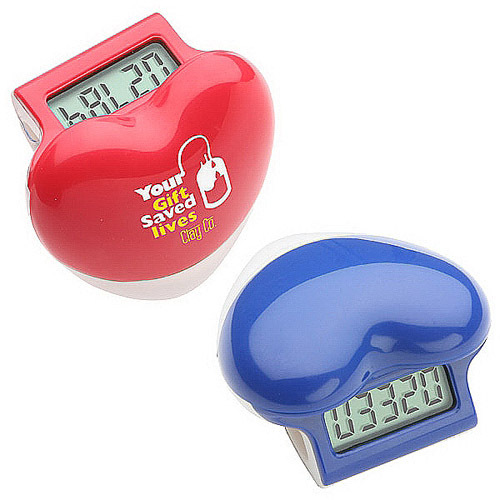 You can turn a useful giveaway into a fun giveaway of an item that will be kept therefore keeping your name out there.